“If your ship has been driven into these [amoral] seas, very well! Now clench your teeth! Keep your eyes open! Keep a firm hand on the helm!—We sail straight over morality and past it, we flatten, we crush perhaps what is left of our own morality by venturing to voyage thither—but what do we matter! No modern or contemporary philosopher outweighs Nietzsche’s contributions to the moral climate of our age. Beyond Good and Evil, probably his most widely read book, address the interplay of deep psychological drives, morality, power, and knowledge. 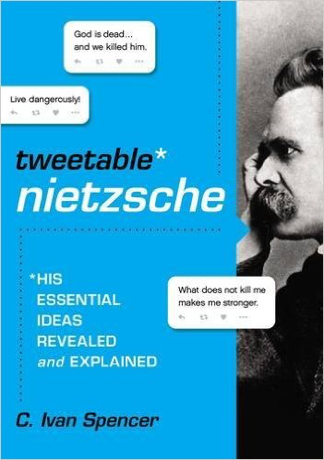 Nietzsche voyages into uncharted territories of moral discovery. His navigation charts now inform many today who abandon traditional morality. For those who climb aboard his ship, the various ports of call visit different ethical theories, but the final destination will be a port with no rules, no laws, and only the dominance of competing wills. Nietzsche thinks authentic people will shun traditional morality and follow instincts that yield a fruitful life. He urges us to overcome the old morality and persist in human acts that truly help us flourish. He refers to himself as an “immoralist,” someone who rejects stodgy old rules that box him in, though the hashtag #amoral works too. Immoral means breaking moral norms. Amoral means there is no norm to break. Affirming both, he reasons that in the pre-moral era of humanity, about ten thousand years ago, the value of action derived from its benefit. Since then, people have increasingly valued actions because of intent. We value actions now because of intent, not benefit. In Nietzsche’s estimation we should abandon the idea of intent because it provided the missing element for morality, for prejudice, and for control. Those who crush morality become living touchstones of the human heart, pre-moral, pre historic humans who live without society’s controlling rules. Before Nietzsche, Rousseau wrote, “Man is born free; and he is everywhere in chains.” Society and its rules choke freedom and happiness. While Nietzsche agrees with the call to natural instincts, humanity must now go forward into a new era of instinctual living, not back to a pre-civilized state of equality Rousseau envisioned. Soon after Nietzsche, Freud claimed civilization exacts an onerous toll on people who must abandon their freedom and pursuit of pleasures to obtain a civilization. For Rousseau, Nietzsche, and Freud then, civilization insures greater safety, but at the steep price of all happiness and flourishing of the instinctual pleasures. Nietzsche says we steer the helm of civilization beyond morality, but where will this ship sail? Here be dragons! If we ignore the navigation charts of morals necessary for civility, do we risk shipwreck? Assuming we could survive, people would freely live without controls, rules, and laws. Would that bring greater happiness? Probably not. Excessive freedom destroys freedom. If we maximize freedom by eliminating morals (and the laws that emerged by social consensus), we would find that most couldn’t even use that freedom, much less enjoy it. Ensuing anarchy would render freedom useless for most, for with no security, most would trust no one, hide, and seek safety. The truly strong alone could handle that much freedom. Only Nietzsche’s overman (Übermensch) would benefit from a boundless open sea of amoral autocracy where will to power prevails as the final imperative. Friedrich Nietzsche, Beyond Good and Evil, ed. Mortimer J. Adler and Philip W. Goetz, trans. R. J. Hollingdale, Second Edition, vol. 43, Great Books of the Western World (Chicago: Encyclopædia Britannica, Inc., 1990), 474 [§23]. Jean-Jacques Rousseau, Social Contract, trans. Maurice Cranston (New York: Penguin Putnam, 1968), 49.